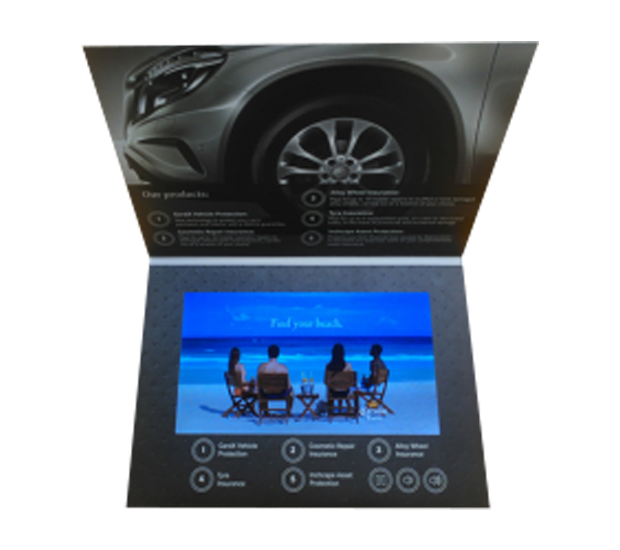 LCD video brochures (liquid-crystal display) are instantly eye-catching. With bright colours, moving images and soundtracks, they attract and hold attention, providing a vital opportunity to convey your message. What your screen portrays will depend on the nature of your business, and what you want viewers to do as a result of watching your video. You may want to include a video of your products in action, an advertisement for an upcoming promotion, or latest data about the market place in which you operate. 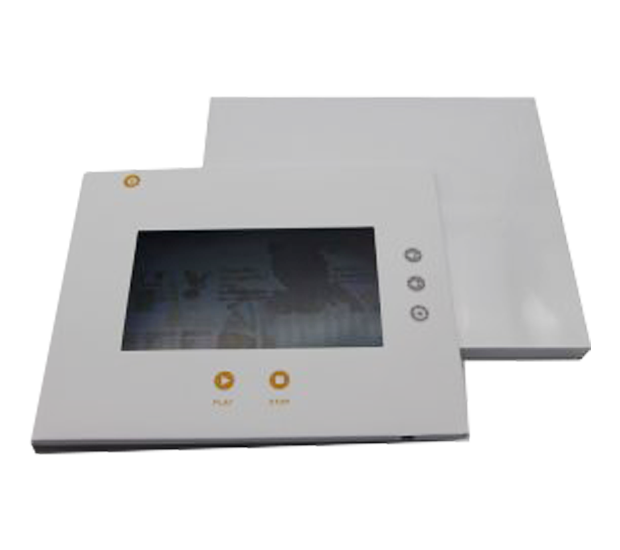 If you work in a fast-changing business area, graphics and statistics within your LCD video brochure can be updated. 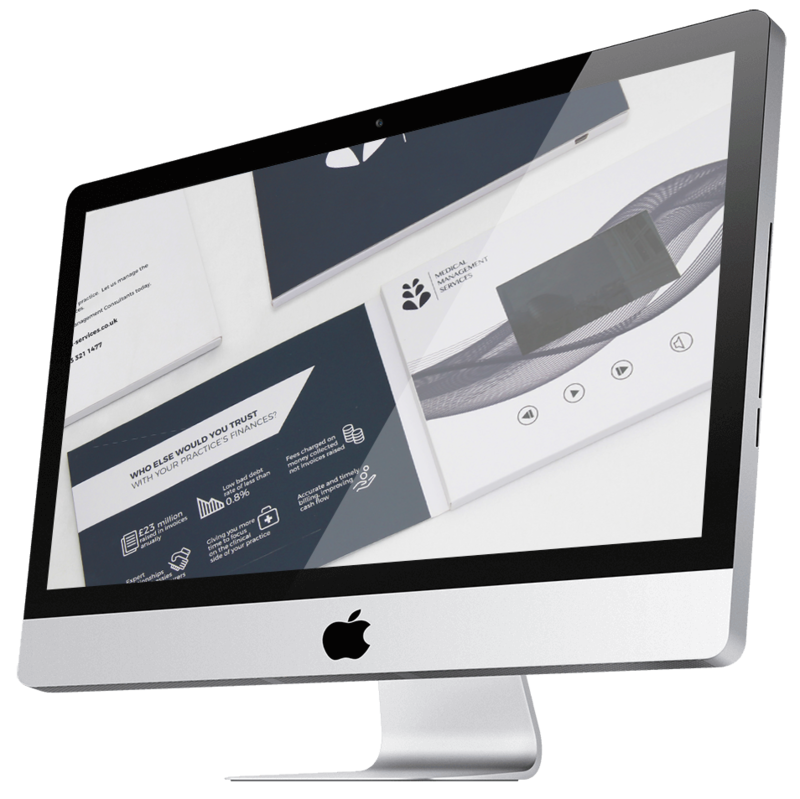 So after the initial investment, updated brochures can be produced without incurring the print run costs of traditional marketing materials. As with all marketing, where you distribute your LCD video brochures is key. Our team has the skills and experience to develop a marketing campaign with you that will grab the attention of your customers. Once we know who your target audience is, and your objectives in communicating with them, we can advise on how best to reach them. 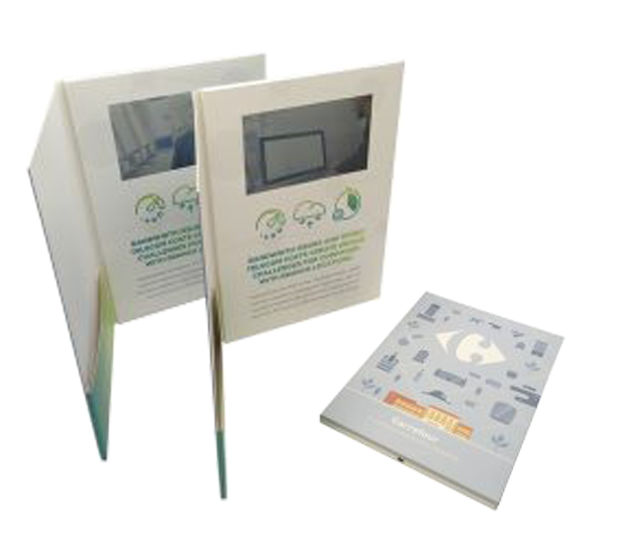 With the correct strategy in place your LCD video brochures will not only be viewed but, where appropriate, shared, commented on, and used to enhance your brand. 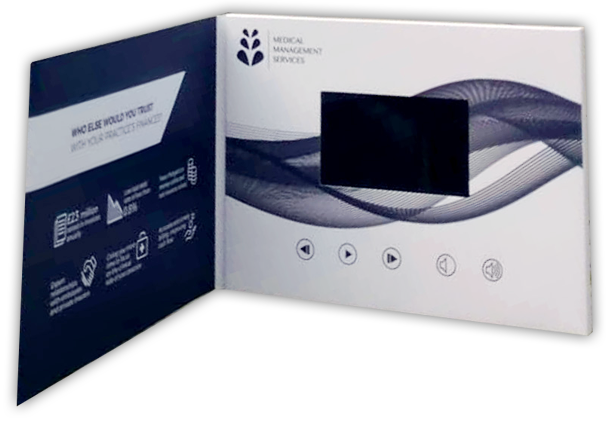 LCD video brochure marketing is an effective way of connecting with new customers, developing existing customer relationships, and building trust and loyalty. Because the quality of LCD video brochures is so high, it is important that the content is of the same professional standard. Not only do high-quality images and videos look impressive, but also they are likely to have a positive influence on your customers’ attitude to your company and products. In retail, strong photography and quality videos can lead directly to product sales. If your objective is to increase customer loyalty by supplying information and data that is important to their working lives, your LCD video brochure content may include endorsements from satisfied customers, opinions of key influencers or presentations of latest research. 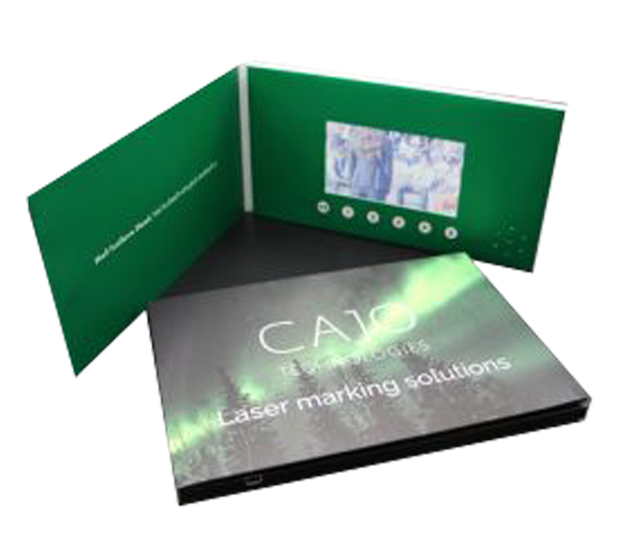 Existing materials, whether they be PowerPoint presentations or videos originally created for your website, can be adapted and edited for inclusion in your LCD video brochure. All video content can be locked and password protected, which means that you can control the message, particularly if the content your company wishes to share is of a sensitive nature. LCD video greeting cards are an effective way of introducing yourself to potential customers and encouraging them to engage with you by visiting your website or calling your nearest company representative. While LCD video greeting cards can be the same size as a brochure, the video content may be shorter and more succinct – a message from a senior member of your team, or a celebrity endorsing your products perhaps. 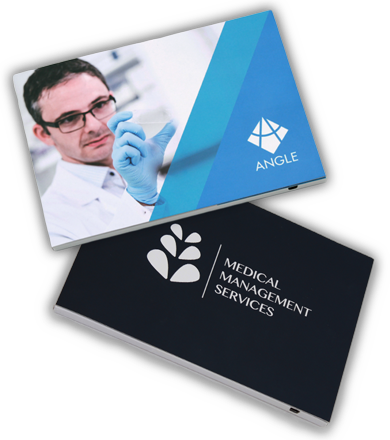 As well as the card and screen sizes detailed above, we also produce business card size LCD video greeting cards. 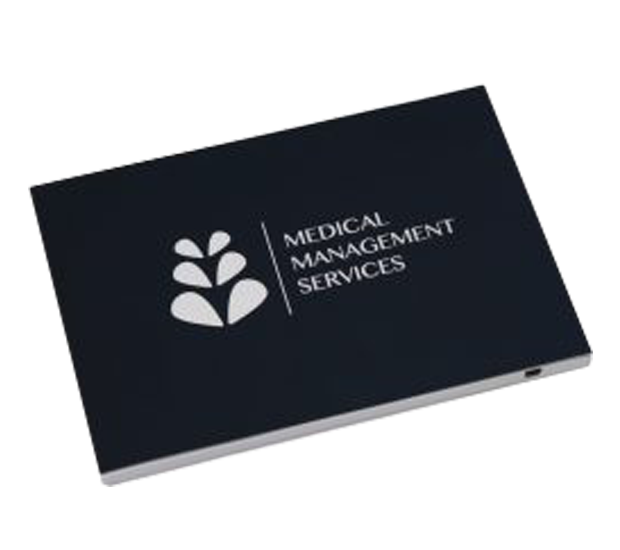 These have a 2.4” screen and are framed in a pocket-sized surround which can have the usual business card contact information printed on it. We provide a full LCD video brochure service from brochure design through to video production services, including animation. Our graphic designers also have extensive experience in branding and website design, which means they know how to give your video brochure personality while keeping it aligned with your business branding.